This is from the version 2.0/3.0 era of ANGELINA, where it made Metroidvania-style platformers and themed them around news stories. 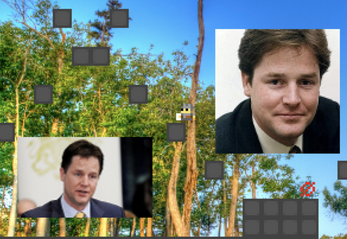 This one is based on Nick Clegg, the then-leader of the Liberal Democrats, and his political career. Sadly I've lost the commentary for this game, so I don't know the specific news story that prompted it!